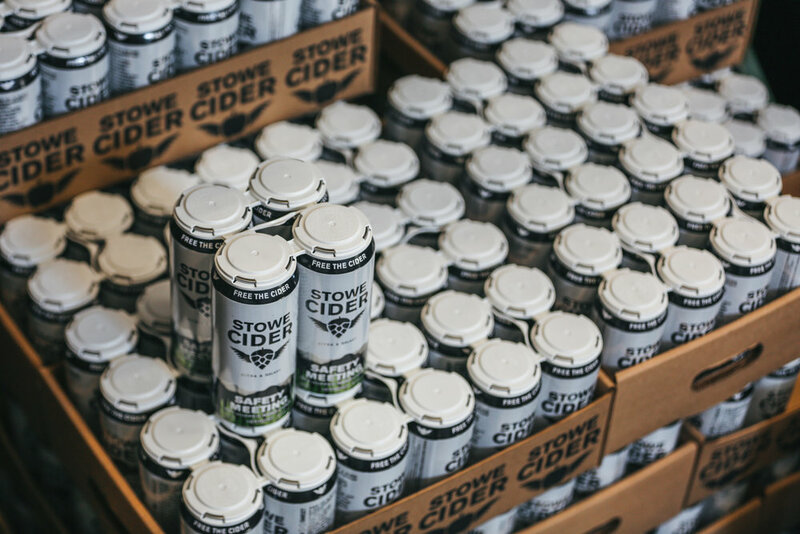 Are you interested in working for Stowe Cider? Please see all current available positions below. To apply, send an email with required information to careers@stowecider.com. The Packaging Manager ensures that the quality and quantity of Stowe Cider products meets our high standards and demands. This individual needs to be tech and equipment-savvy as they perform many machine-adjustments and maintenance tasks in a day. Please send resume and cover letter to careers@stowecider.com. The person in this role will take on the responsibility of being the first point of contact through: email, social media, basic marketing, and by developing relevant media and designs to promote the brand. The primary focus of this position is to grow and engage the Stowe Cider community. We are looking for an individual who is creative, organized, and fun to be around. Facilitate online conversations with customers and respond to queries and comments. Suggest new ways to excite existing consumers and attract prospective customers via relevant posts and promotions. One case of free cider per month. One free merchandise item per month. Employee discounts on cider products and retail. The opportunity to represent a reputable, growing brand within the dynamic craft beverage industry. Please send resume, design portfolio and cover letter to careers@stowecider.com. This individual is responsible for supporting and working closely with the management team to promote and fulfill the company’s mission statement and core values. Specifically, they will focus on the development and execution of tasting room operations while displaying excellence in hospitality and creating a fun, positive, and energetic environment for the Stowe Cider community. Coordinate and oversee Tasting/Tap Room operations. Manage the planning and implementation of effective business strategies. Manage point of sale system and retail inventories. Ensure the highest quality customer experience possible. Proven experience as a hospitality manager. Passion for and knowledge of cider, cider production, and hospitality. We are a young, locally-owned hard cider company looking for a Packaging Technician & Cellar worker to join our hard-working production team. Teamwork, dedication, and a passion for producing the highest quality cider is what sets us apart. We are currently seeking motivated and well organized professionals whose dedication and initiative will continue to keep Stowe Cider at the top of the industry. This position is responsible for the setup, operation, and cleanup of our packaging materials and equipment, and will aid in general cider house operations on non-packaging days. *Please accompany resume with a cover letter for the position. Stowe Cider is seeking a full-time Cider Maker to join our team! The person in this role will assist in the management of fermentation and ensure Stowe Cider continues to create the high-quality ciders our customers have come to love and expect.